Michael Johnson, a 53-year-old Lima man charged as a major drug offender for possession of a bulk amount of cocaine, was in court Wednesday. Johnson’s attorney argued that evidence in the case through the execution of a search warrant at his South Central Avenue home was obtained illegally by police. LIMA — The lawyer for a Lima man facing charges as a “major drug offender” argued in court Wednesday that money, guns and drugs seized from an automobile during a search warrant of his client’s property were obtained illegally and should be be ruled inadmissible as evidence. Attorney John Hopkins said Lima police overstepped their authority and exceeded the boundaries spelled out in executing the search warrant on Nov. 8, 2016, at a residence at 1057 S. Central Ave., Lima. Johnson, 53, the resident of a home located at that address, was subsequently charged as a large-scale drug dealer based on the evidence discovered during the execution of the warrant. He was indicted June 13 by an Allen County grand jury on charges of possession of cocaine with a specification as a major drug offender, a first-degree felony. The charge includes the forfeiture of money and a firearm. He was also indicted on six counts of having a weapon under disability, third-degree felonies. Johnson was one of more than a dozen men identified by authorities as “large-quantity” dealers of cocaine and crack cocaine to be arrested during early-morning raids throughout Lima on June 14. The raids, carried out by local and federal law enforcement officials, were conducted in coordination with what officials with the Federal Bureau of Investigation termed a “long-term, multi-jurisdictional investigation” into large-scale drug trafficking in Allen and area counties. Eight Lima men were arrested on federal charges following those raids. Another half-dozen were taken into custody on state charges. Hopkins on Wednesday said the white Nissan automobile in which police found evidence was not located on the property at 1057 S. Central Ave. but rather was situated on an adjacent property — a location that was not included in the language contained in the search warrant. He produced an image from the Allen County Auditor’s website that clearly showed the boundaries of the Central Avenue location. The vehicle in question was parked in a lot at what Hopkins said was an adjacent property. Assistant Allen County Prosecuting Attorney Kyle Thines called as a witness Trent Kunkelman, an investigator with the Lima Police Department. The police officer said he had been told by a confidential informant that the Nissan located in the parking lot believed to be a part of Johnson’s property was immobile and that “large amounts of contraband were being stored there.” A search of the vehicle revealed $5,000 in cash, seven firearms and a sizable amount of cocaine, Kunkelman testified. Hopkins continued to argue that that Nissan was not part of the warrant and was therefore off limits to police officers and that any evidence found was inadmissible at trial. Thines countered that the vehicle was a curtilage — an extension of the space situated within a common enclosure belonging to a dwelling — and therefore was covered by the search warrant’s parameters. He cited several instances of case law to support his argument. Judge David Cheney took the arguments under advisement and said he would rule in the near future. 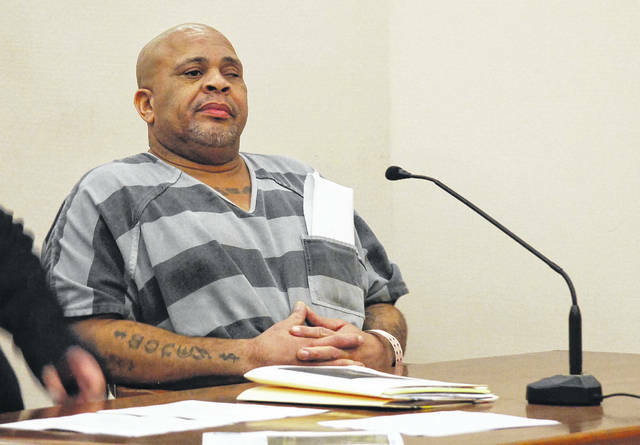 A Sept. 4 jury trial has been scheduled for Johnson. https://www.limaohio.com/wp-content/uploads/sites/54/2018/08/web1_Michael-Johnson-MDO-Aug.-15.jpgMichael Johnson, a 53-year-old Lima man charged as a major drug offender for possession of a bulk amount of cocaine, was in court Wednesday. Johnson’s attorney argued that evidence in the case through the execution of a search warrant at his South Central Avenue home was obtained illegally by police.